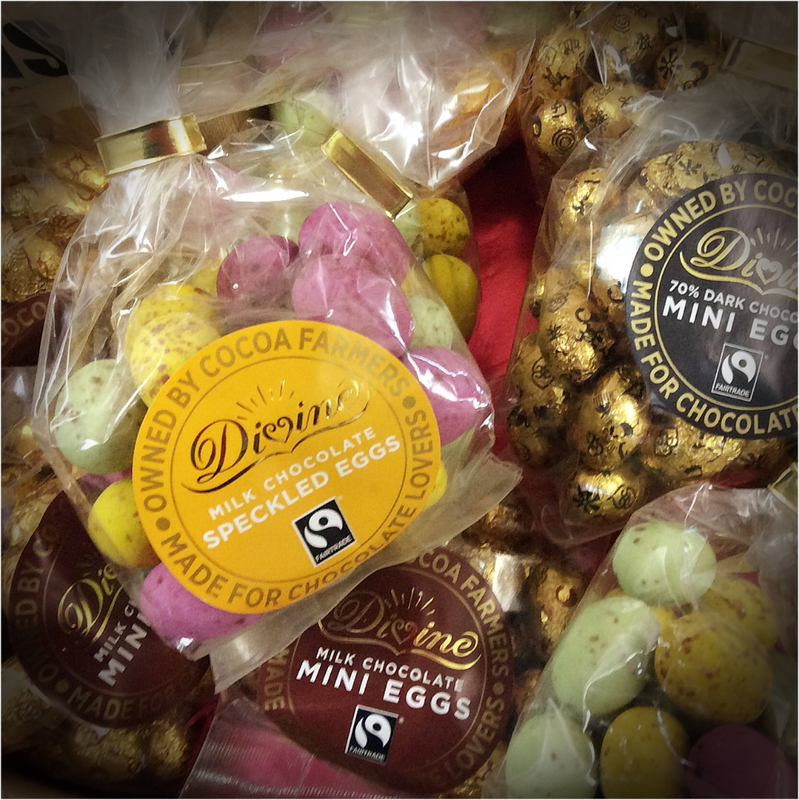 In store now: a brilliant selection of Easter treats, including fairtrade and organic eggs, mini eggs and big ones, chocolate chicks and eggs with eco packaging, and of course hot cross buns from our Taylors, our local bakers. 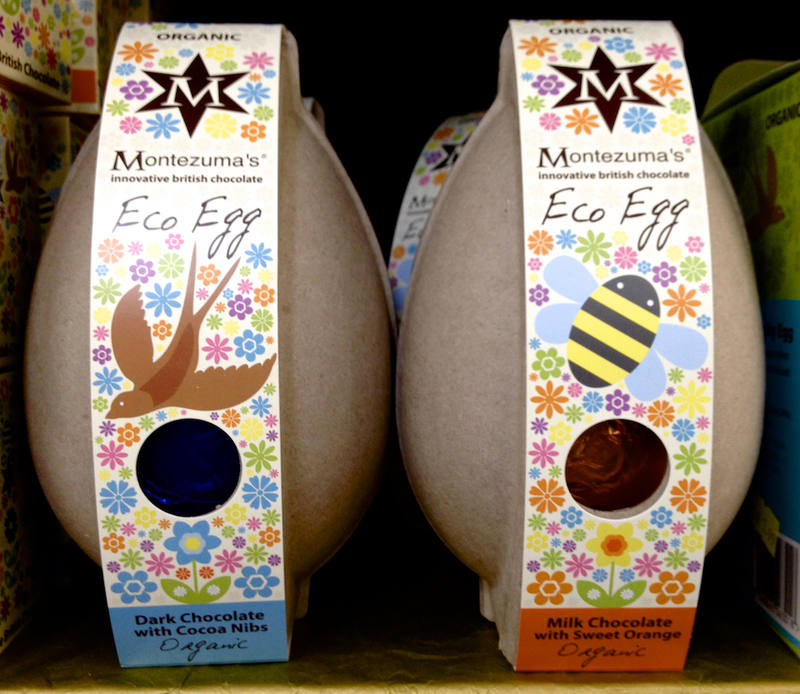 Brands include all your favourites: Green & Blacks, Montezuma, Divine and Cocoa Loco. Flavours include: butterscotch, mint, almond praline, salted peanut butter, and sweet orange.